Klout looks like they are doing something StumbleUpon has had for years and should have already done: made finding subject matter experts and top shared content easy to find. Early adopters are being invited to sign up to be one of the first to preview Klout’s upcoming topic pages. Here’s my Klout Topic Page link for you to use. The more of us who use it the more likely we will be among the first. I’ve read lots of positive feedback about klout and how it helps you evaluate the degree of your influence on the web. It measures how successful you are on Twitter, Facebook, LinkedIn and YouTube. Thanks for the advice and the idea! 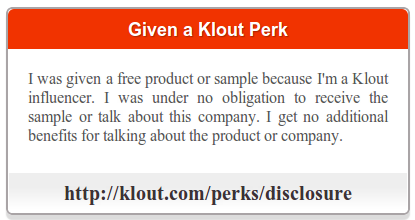 Getting more information regarding Klout is very essential while giving it a try. thanks a ton for this great write up. I didn’t knew Klout, thanks for sharing! I´ve never heard about it! But I will give it a try now! Thanks for the heads up! I have never heard of Klout so far but it looks very promising. Klout is much more appealing than stumbleupon. Stumble has got some confusion unlike this Klout that delivers the easy access. Not really making some negative side on stumble but I prefer this one here. Thanks for the reminder about Klout! I signed up and began to create my page and then………forgot about it! I will check out your page and…..try to finish up my page! I actually really like Klout a lot more than stumble.